For over 35 years, RAM has produced the world's top performing competition clutch systems. 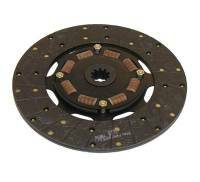 RAM Automotive 300 Series Street Stock Clutch Disc - Solid Hub - GM - 10.5" x 1-1/ 8" - 10-Spline - 2.5 lbs. 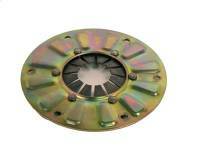 RAM Automotive 300 Series Street Stock Clutch Disc - Solid Hub - GM - 10.5" x 1-1/8" 26 Spline - 2.5 lbs. Pit Stop USA is The Online Motorsports Superstore! For over 35 years, RAM has produced the world's top performing competition and street performance clutch systems. 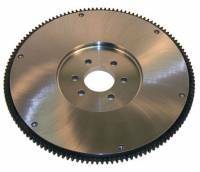 RAM Assault Weapon multi disc clutches provide affordable performance in a lightweight, long life package. RAM Couplers are the ultimate for light weight and low inertia in specialized applications. RAM Assault Weapon is 6 1/4 inches of bulletproof performance. At just 11.9 pounds in the three disc version, the RAM Assault Weapon is the toughest clutch in circle track racing. The RAM 7.25 clutch series provide performance plus long service life. 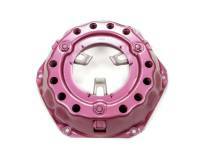 The RAM Coupler is a compact, lightweight clutch system featuring splined lock-up engagement. 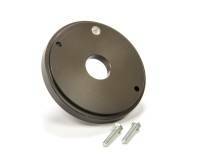 The RAM Coupler is just five pounds and 4 A inches in diameter - about the size of the crank flange itself! 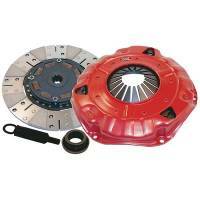 RAM Clutches for 'stock clutch rule' classes give you unmatched performance and durability. Used in conjunction with a RAM six paddle solid hub disc, this combination weighs in at just over 15 pounds. 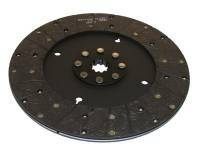 If your rules require a full facing or sprung hub disc, the RAM 300 Series organic racing disc provides the best holding power of any organic disc available and adds only about 2 pounds to the total weight of the set. 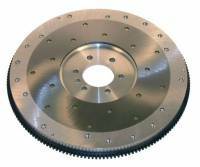 RAM offers a lightweight 17 pound billet steel flywheel for Chevrolet that matches the above components. 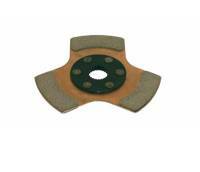 RAM offers a similar 10.5 inch pressure plate with a nodular iron pressure ring. 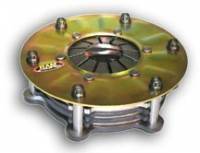 All RAM street stock clutches are completely rebuildable by the factory. RAM hydraulic release bearings are designed to be used with RAM or other multiple disc clutches. RAM hydraulic bearings require a 3/4 or 7/8 inch master cylinder and the -4 AN connection line. .500" total travel. All parts necessary for rebuild are available from RAM. 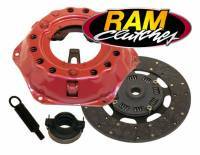 We feature RAM Automotive Company RAM Clutches and RAM Couplers at low everyday prices!